The next installment of the TJBS Great Albums Concert Series is Sunday, August 27, 6:00 and 8:00 pm. at Rudy’s Jazz Room, 809 Gleaves Street in the Gulch. 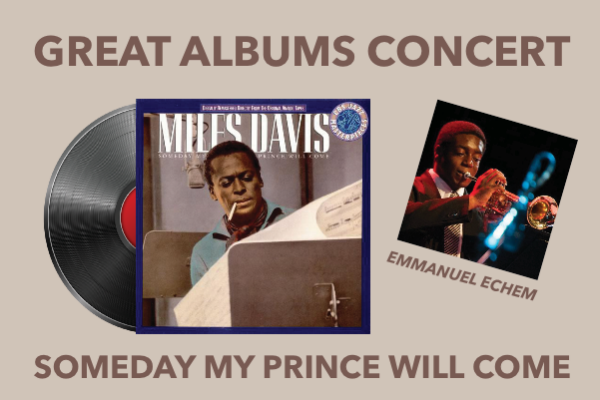 The performance will celebrate the classic Miles Davis recording, Someday My Prince Will Come. The featured artist will be trumpeter Emmanuel Echem.